It's Sunday and I needed something light, but satisfying while I am preparing for my Monday clients. 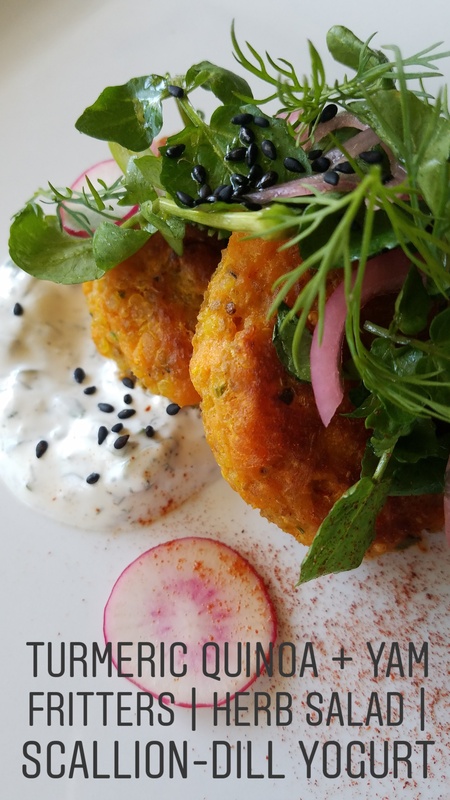 There's no doubt about it that these Turmeric Quinoa and Yam Fritters with Scallion Yogurt left me satisfied. The warm spices of garam masala, curry, and cumin with the earthiness of quinoa go wonderfully with fluffy yams. Best part? The recipe can be done in under 30 minutes! Mix all ingredients togetehr in a small mixing bowl. Season to taste wit salt and fresh cracked pepper. In a medium pot with lid, add the ground turmeric to the quinoa, and add the water or vegetable broth to the quinoa. bring to a boil, cover the pot with a tigtht fitting lid, and reduce heat to medium. et a timer for quinoa and allow to cook. Once cooked, add your yams, masala, cumin, scallions, fresh dill, egg, granulated garlic, and salt. Mash with potato masher or large spoon/fork. Once mixture is incorporated, heat 2 tablespoons olive oil in a large skillet or saute pan over medium heat. Once the pan has heated and the oil is slick, either scoop out spoonfuls of fritter mixture into pan, or shape small individual patties and carefully drop them into the oil. Allow to cook over medium/medium-low heat until golden brown on each side, and cooked to a minimum internal temperature of 145 degrees. Remove fritters from pan and allow to cool on rack or paper towels. 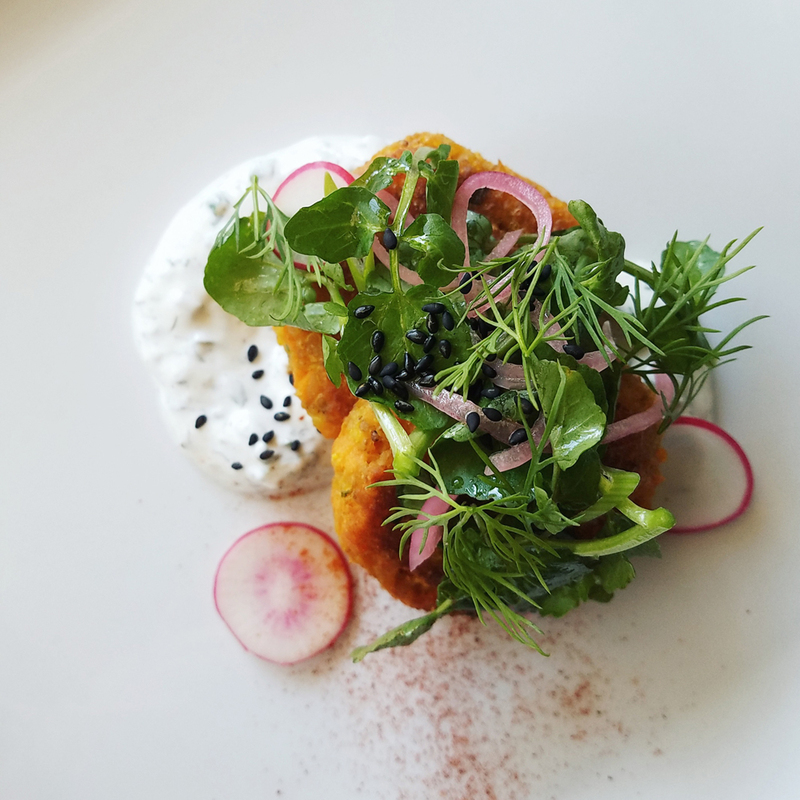 Finish with scallion yogurt and a light mixed green or herb salad.